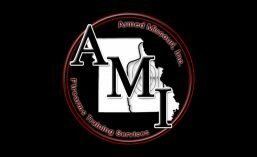 Vehicle Gun Fighting | Armed Missouri, Inc. Course Date: None Available. This course is generally hosted once each year in mid fall. Course Description: Just because you are in a vehicle doesn’t mean you can’t or won’t be subject to a violent confrontation by a predatory criminal. 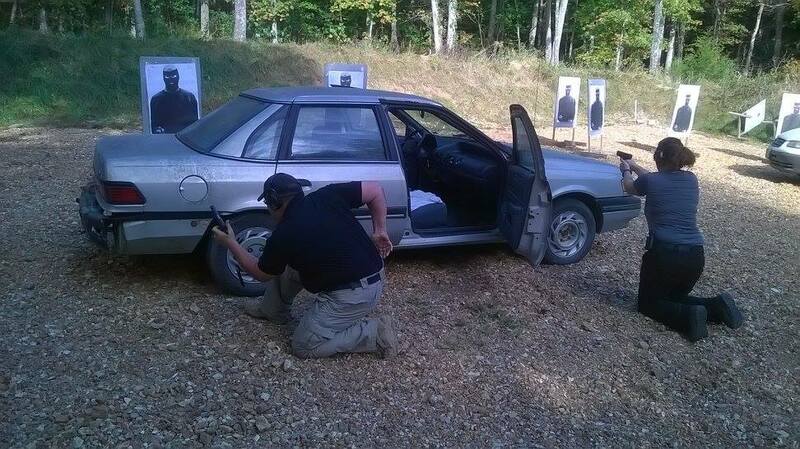 The Martial Arms Tactical, “Vehicle Gunfighting Skills” (VGFS) course helps you prepare for situations where you could find yourself subject to a car-jacking, parking lot robbery, road rage incident, or kidnapping and/or abduction – all very real possibilities when you are traveling or when you are going about your daily affairs. 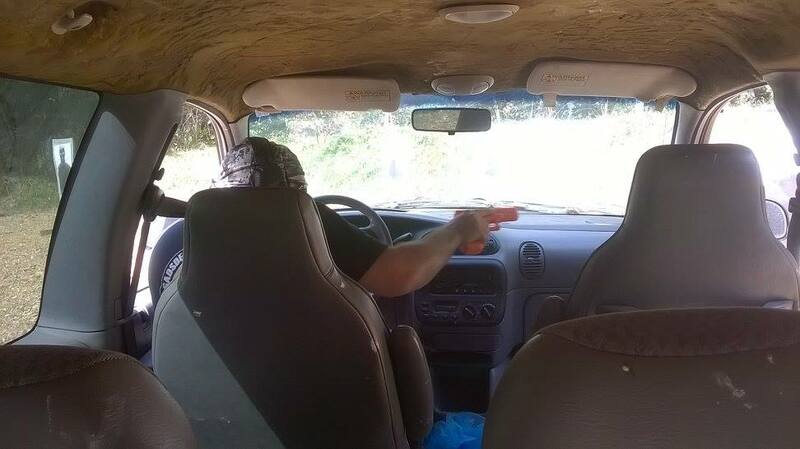 Using a defensive firearm from inside a vehicle is quite a bit different than using one in an open space. Additionally, using a defensive firearm around a vehicle is also different than using one in an open space. The environment doesn’t necessarily allow us to do what we would normally do. 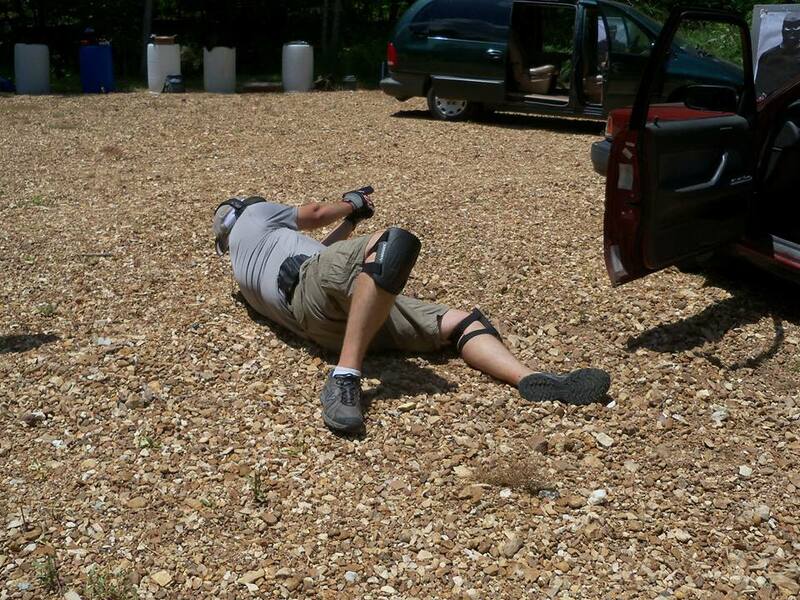 Even if you have previously taken defensive shooting training, these situations require more specialized skills and tactics. 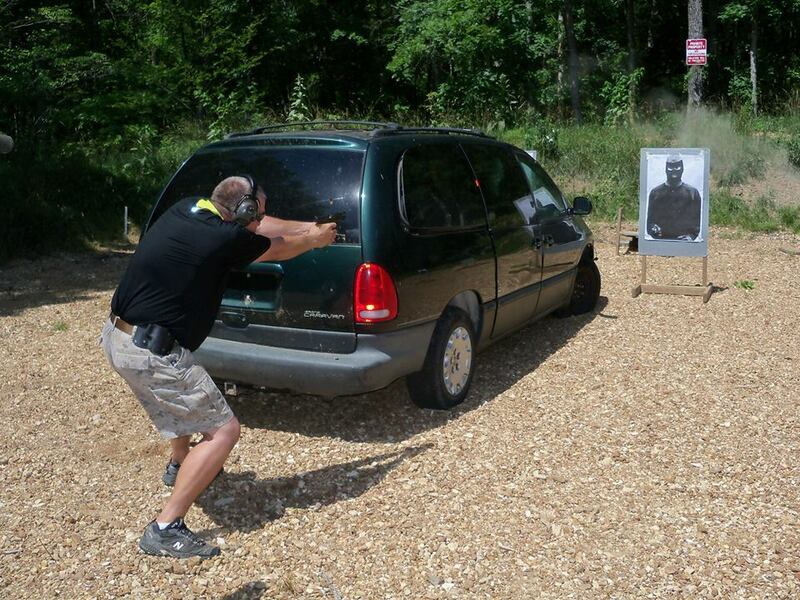 In this course, you will learn the skills and tactics needed to effectively work in and around the vehicle; the ballistic effects of carry ammunition on the various parts of the car, and fighting inside and outside the vehicle. This course is not just for a bodyguard or chauffeur; it is for anyone who travels in an automobile and/or who spends a lot of time near automobiles. This course is approximately 8 hours in length and involves the use of real automobiles for nearly the entire class. Students should bring a picture ID, drinks, snacks, and a lunch. This course is conducted entirely on the range. Please be aware that our shooting range is outdoors and we will shoot in any weather. Please dress appropriately for weather. Personal Handgun: The firearm should be of modern design, use centerfire ammunition, be clean, serviceable, and with all factory safety devices intact and in proper working order. It is HIGHLY recommended that you bring a semi-automatic firearm as you will be doing a lot of reloading during this class. Revolvers are allowed but their use is discouraged. Ammunition: A minimum of 400 rounds is required. As well as an additional 20 rounds of your daily carry ammunition that will be used to test the effects when shot into various parts of a vehicle. Holster: A strong-side hip holster inside or outside the waistband, that allows for easy re-holstering with only one hand. Magazines & Speedloaders: Semi-automatics must be accompanied by a minimum of 3 magazines. Revolvers must be accompanied by a minimum of 3 speedloaders. Belt pouches for spare ammunition are also required. Range Clothing: A sturdy belt, brimmed hat and clothing appropriate for the weather are strongly recommended. Other Equipment: Either shooting muffs or earplugs and some type of glasses are required.